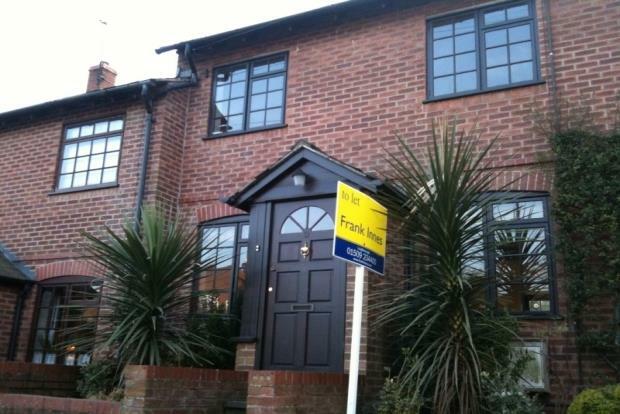 3 Bedroom House To Rent in Loughborough for £725 per Calendar Month. This property comprises of porch, spacious lounge with open fire and a dining area with french doors leading to rear garden, contemporary fitted kitchen with integral fridge/freezer, electric oven, hob, extractor hood and space for further appliances, leading to useful utility area. Upstairs there are two double bedrooms and one single bedroom plus a modern bathroom with shower over the bath. Attractive low maintenance garden to the rear and garage.